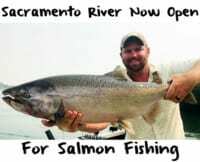 With the new edition of Silver Label Balls O Fire salmon eggs our family has grown. It’s exciting to see our strong customer base enthusiastic about a new addition to our Balls O Fire line. We don’t come out with new salmon eggs often because we only want to bring the best products to your tackle box, but this was a no brainer. We’ve always known that red eggs attract trout. Silver Label is another key item all trout anglers should have in their arsenal. Bold, large, Chinook eggs with silver glitter pave the way for anglers to catch even the most finicky trout. 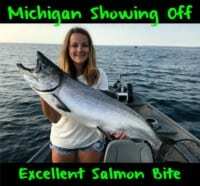 Every angler should have several colors of salmon eggs in their tackle box. It’s no different than having 10 different colored lures or many colors of dough bait. 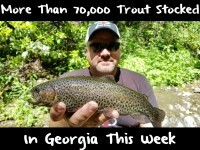 You never know what the trout are going to be in the mood for each day. With the success of the Gold Label egg, we thought it was only logical to put out the Silver Label line as well. We made 100,000 jars back in December and our projections were too conservative. I’m afraid we didn’t make enough. As many as we’ve shipped out of our warehouse already I’m excited that we’re going to have to make another batch. I’ve been around salmon eggs my whole life and what I like about this egg is it follows suit with our line of bold, premium eggs that excel at dispersing scent. That scent, which we call “Nectar” has been a staple for us since we started making eggs in 1934. There are so many positive attributes to Silver Label. In clear conditions the silver glitter acts as a visual stimulant to draw in trout from great distances downstream or deep in the fishing hole. It also retains value in off color conditions by refracting any available light in murky water and all low visibility situations. Silver Label, like Orange Deluxe, Yellow Jacket and Gold Label comes in a 1.5-ounce jar. Editor’s Note: Casey Kelley is the owner of Pautzke Bait Company. His grandfather, Keith Williams, was the mastermind behind creating Green Label Balls O Fire eggs.